Stewart got his BA in Architecture at Miami of Ohio in 1952 and a MA of Regional Planning at UNC-Chapel Hill shortly thereafter. 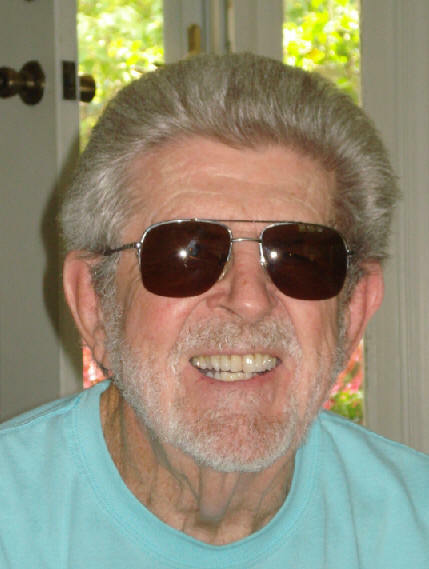 He went to work for Jim Webb as a partner in City Planning and Architecture Associates. In 1958 Bob Anderson joined as a partner. Webb left the firm around 1963. Stewart designed many buildings and homes around Chapel Hill including UNC's Carmichael Auditorium, the longtime home of Dean Smith's winning basketball team. 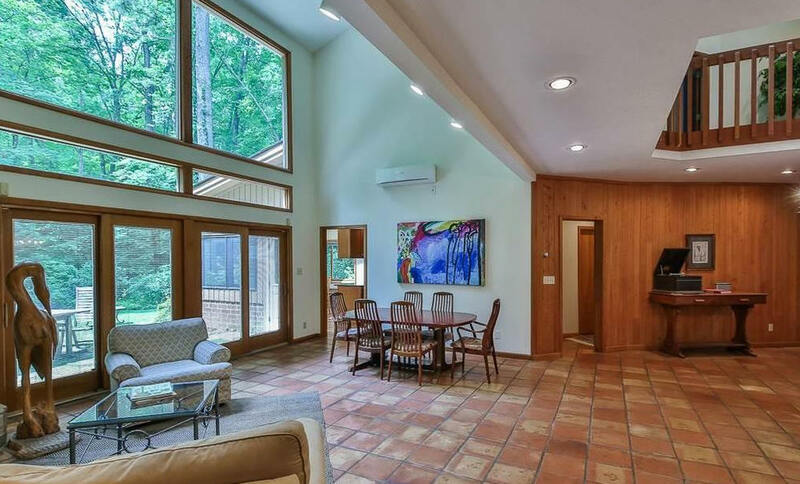 The old Chapel Hill Public Library, designed by Stewart in association with Brian Shawcroft, was saved by being put under preservation easement to Preservation North Carolina through the efforts of Chapel Hill City Council member Sally Greene, herself a modernist homeowner. 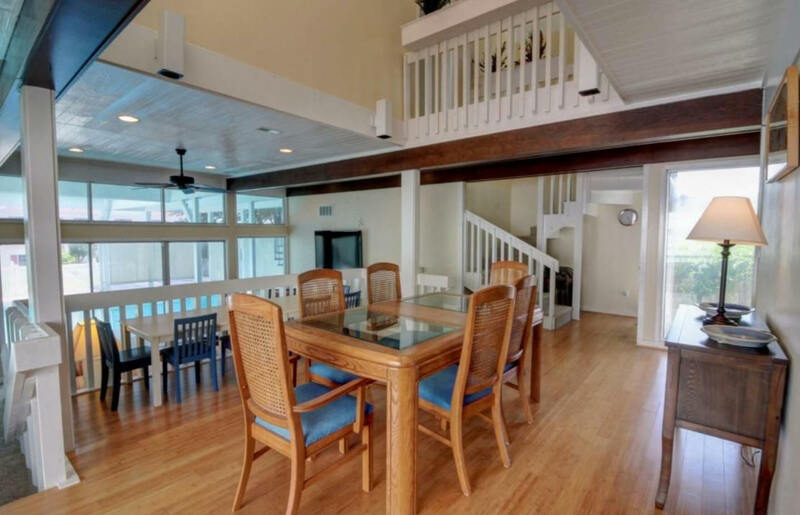 Stewart is also known for the iconic Atlantis Lodge in Atlantic Beach NC, still standing as of 2017. 1952 - The Isabella S. Davis House, 701 Greenwood Road, Chapel Hill. Photo by Dail Dixon. Sold in 1994 to Glenn and Suzanne Voss. 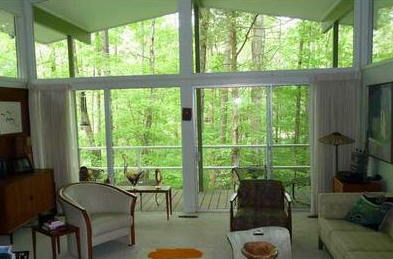 Sold in 2001 to Margaret (Mimi) Fisher Terry who still owned it as of 2012. Garage modifications by architect Georgia Bizios. 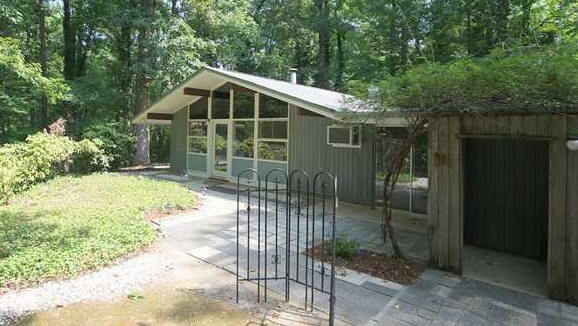 1957 - The John and Nina Sessions house, 700 Morgan Creek Road, Chapel Hill. As of 2012 still owned by the Sessions. Bottom photo by Leilani Carter. 1958 - The Donald Stewart House, 408 Severin Street, Chapel Hill. 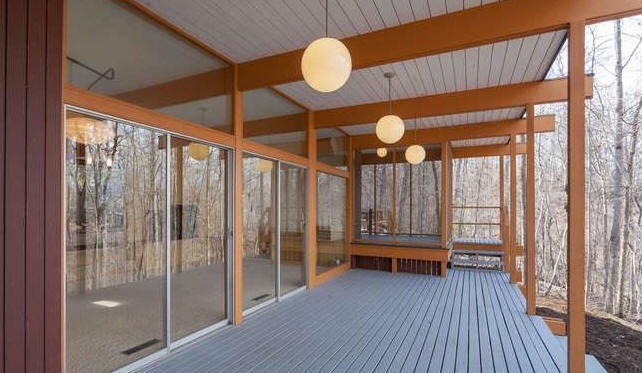 Sold in 1970 to George W. and Helen M. McCall. 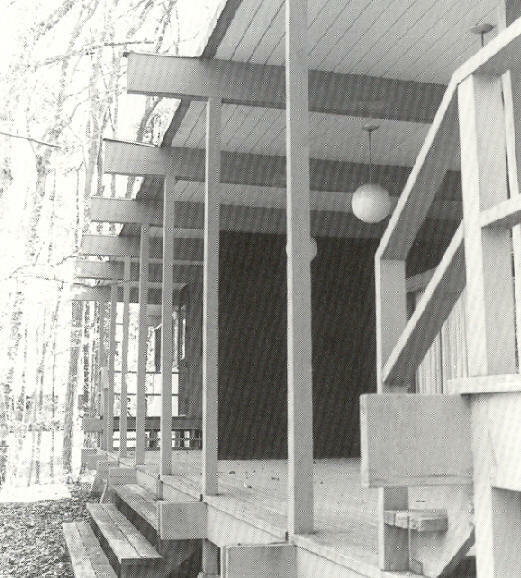 Sold in 1975 to Elizabeth Eagle. Sold in 1979 to Elizabeth Miller. Sold in 2011 to Sarah J. Somers. 1959 - The Miriam S. and J. Benjamin (Ben) Rouzie, Jr House, 804 Kenwick Drive, Winston-Salem. Commissioned 1958. Jim Webb was the project architect. Ben Rouzie was a student of Webb at UNC-CH and became planning director for Forsyth County. 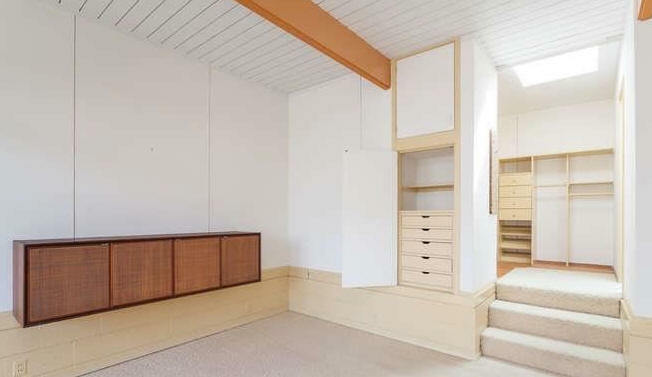 He built most of the built-in cabinets and did all the landscaping. 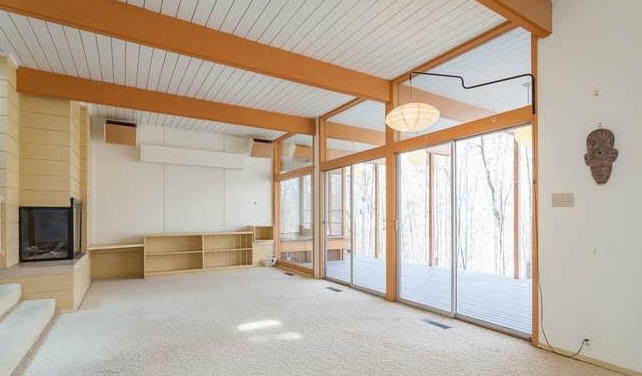 Originally T-shaped, of structural brick, wood frame and beam construction with all spaces vaulted, they added a master bedroom suite in 1963 making it roughly a "F". In 1980, Ben Rouzie, with some participation from Jeffrey M. White of Pawling NY, designed and built a solar-heated hot tub pool room addition. Sold for the first time in 2017 to Eleanore M. Tebbetts. 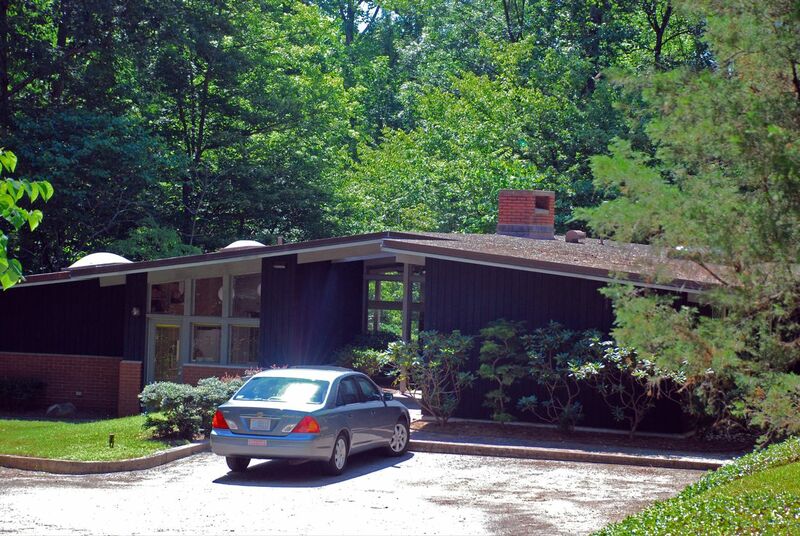 1960 - The Norman D. and Mary W. Bowers House, 903 Coker Drive, Chapel Hill. 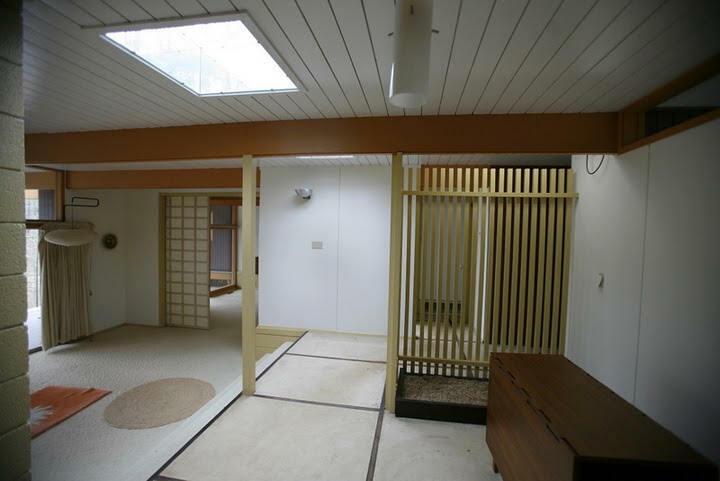 In 1960, the Bowers had just returned from Japan and wanted Japanese styling through the interior. 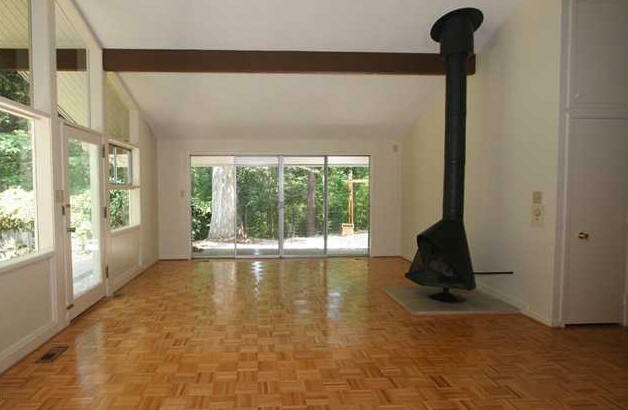 Sold in 1963 to Gladys Edison Taylor. 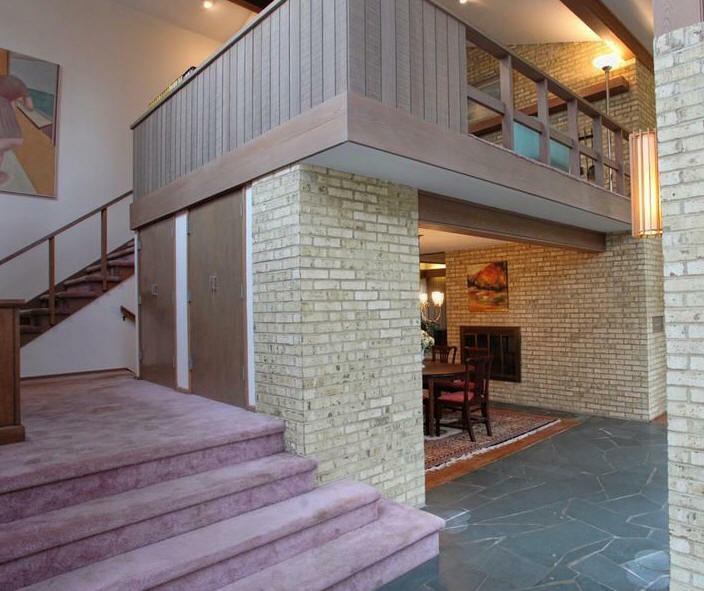 Sold in 1966 to Robert M. Nelson. 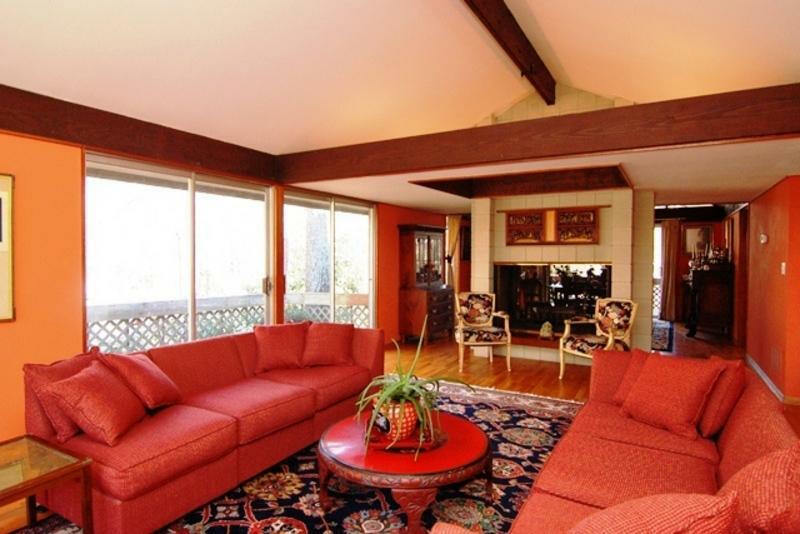 Sold in 1994 to David H. and Jane H. Sprague. Sold later in 1994 to Robert B. Ferrier. 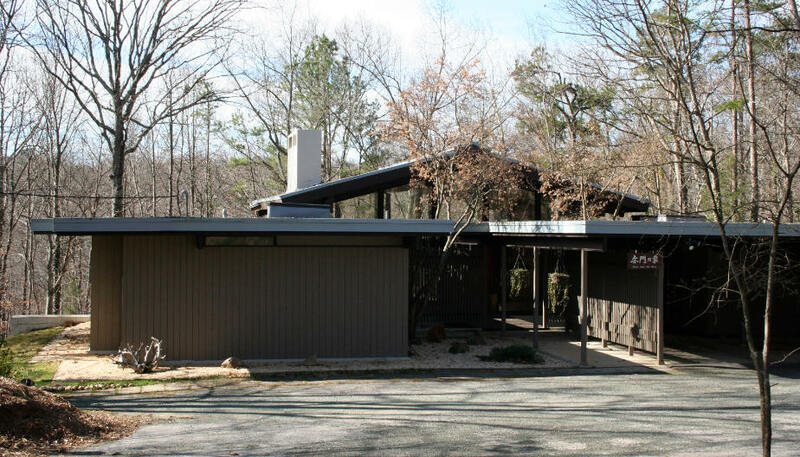 1961 - The Alan and Sylvia Kerckhoff Residence, 1511 Pinecrest, Durham. 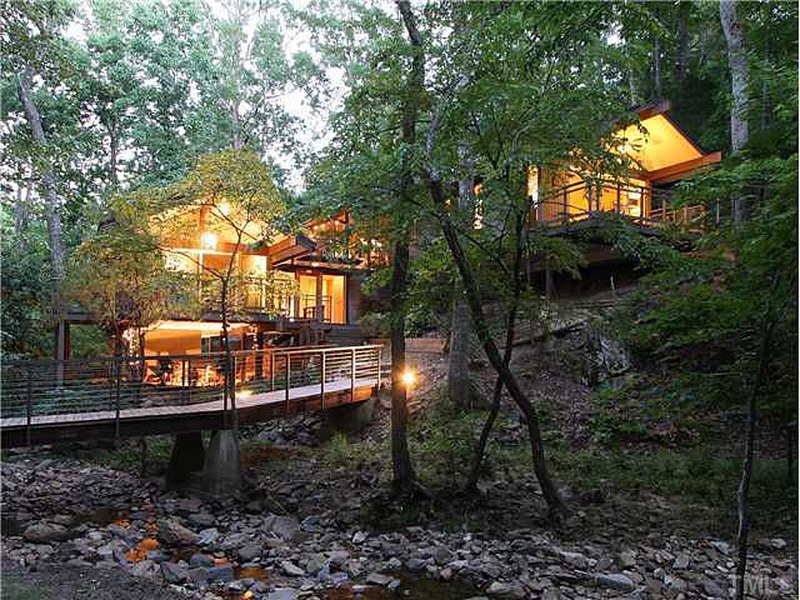 Sold in 2009 for the first time to Thomas Shirley and Martha Zeagler. 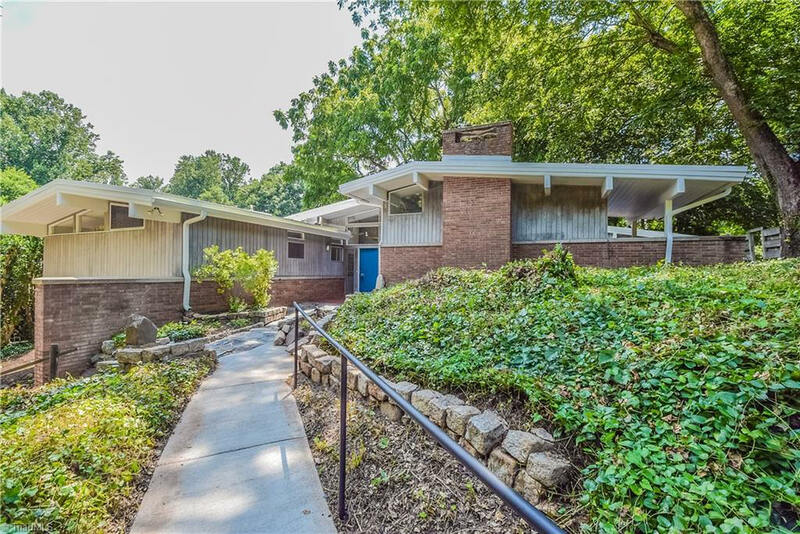 1965 - The Dorothy H. and William D. Basnight House, 302 North Estes Drive, Chapel Hill NC. Sold in 1984 to Judith R. and James C. Cowan. 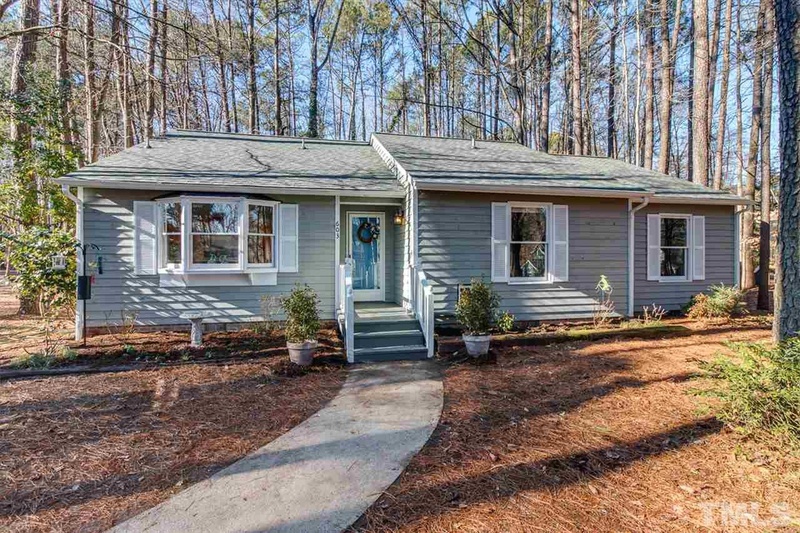 Deeded in 2005 to Judith Ryder Cowan. Sold in 2018 to Tatyanna Zaytseva and Ricardo Ligoure. 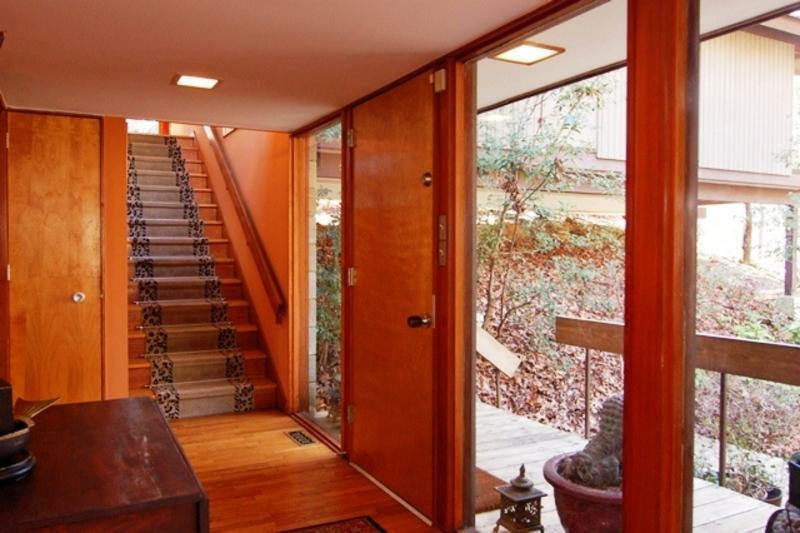 1966 - The John and Ruby Graham Residence, 108 Glendale Drive, Chapel Hill. Built by Carl Ellington. 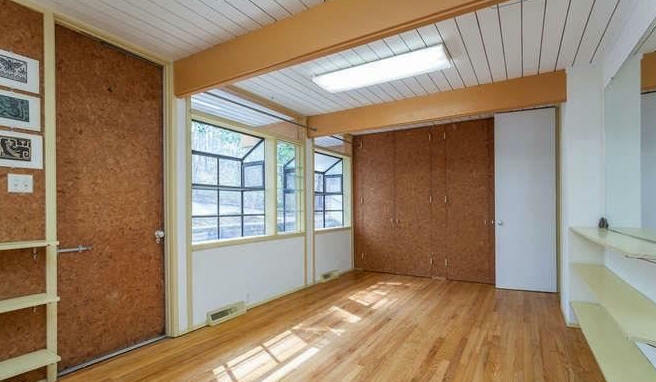 Jim Webb reworked the windows at some point. 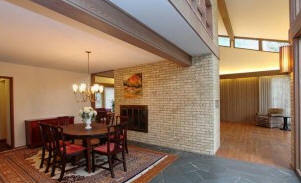 Sold in 2006 to Dennis and Jean Hendrickson who made significant improvements. Photos by Jean Hendrickson. 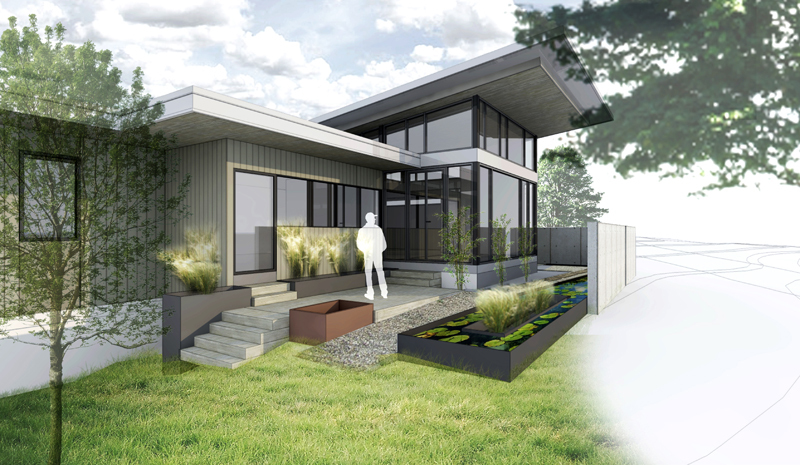 Sold in 2012 to David Witsell and Kyle Worsham who commissioned a master suite addition (bottom two renderings) by Craig Kerins, unbuilt. 2018 renovation by Arrowhead Design/Build. 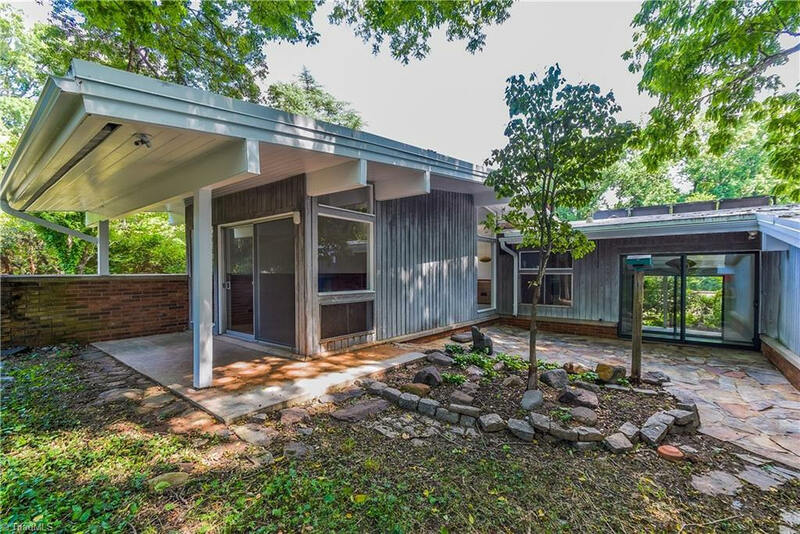 1966 - The Jean Holcomb Remodel, 302 Burlage Circle, Chapel Hill. Original house was built in 1957. 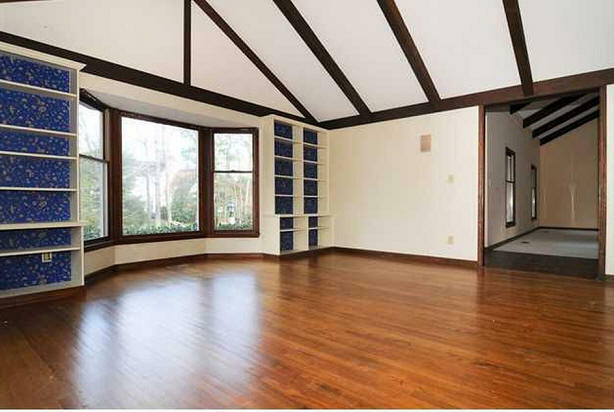 Sold in 2015 to Mai T. Nguyen and Lawrence Applebaum. 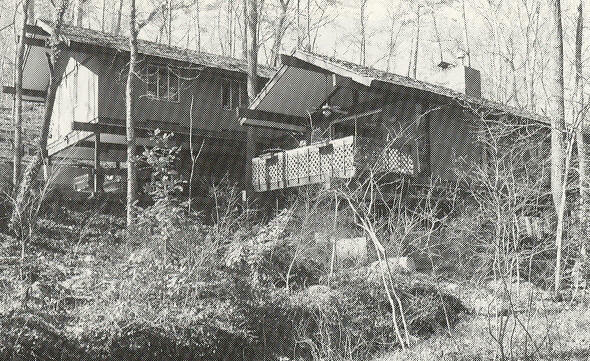 1967 - The J. D. and Jean Phillips Residence, 529 Caswell, Chapel Hill. 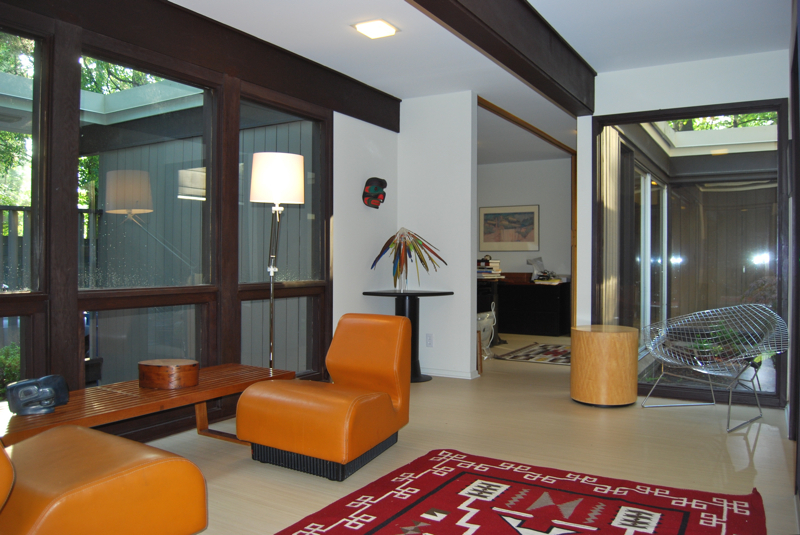 Stewart also did a renovation in 1974. As of 2012 still owned by the Phillips. Photo by Julie Hollenbeck. 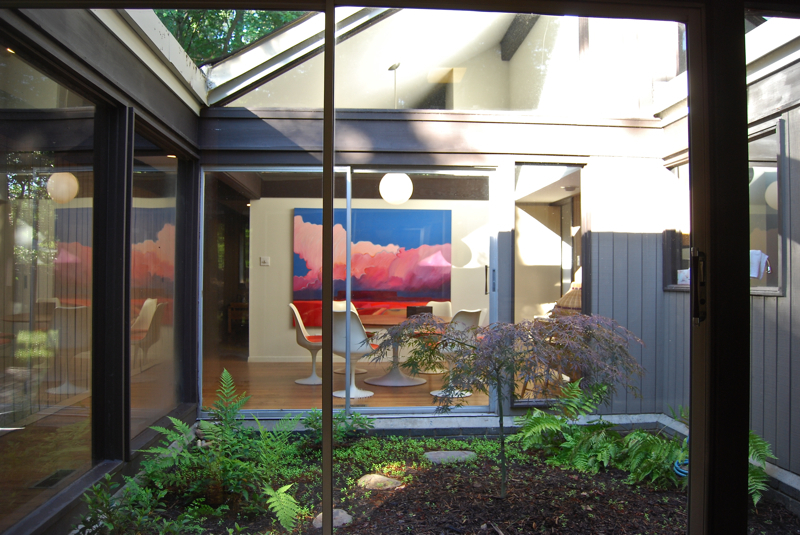 1968 - The Hale C. and Anne K. Sweeny Residence, 3500 Cambridge, Durham. Top two photos by Leilani Carter, rest by Bill Welty. 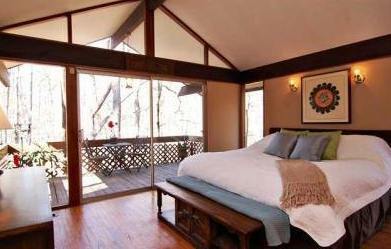 The Sweeny's stayed there 42 years and sold it in 2010 - in two days - to Bill and Bea Welty. 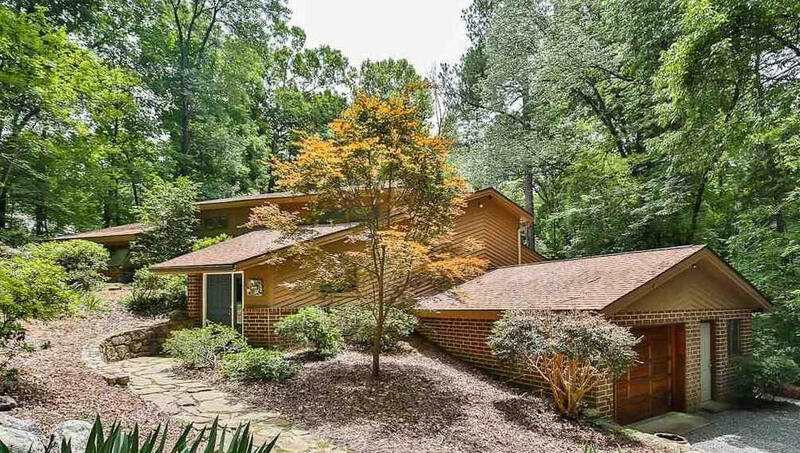 1968 - The Robert and Ruth Mace House, 222 Hillcrest Circle, Chapel Hill. Landscape design by Lewis Clarke. Deeded to daughter Mary Mace. Rented for many years. 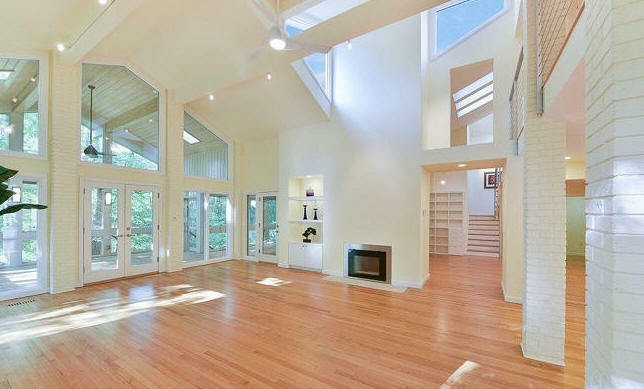 Sold in 2016 to Radhika Shah and Michael Brandt. Destroyed in 2017. 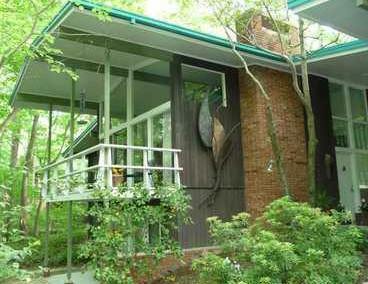 1968 - The Robert (Bob) and Frances Anderson House, 601 Brookview Drive, Chapel Hill. 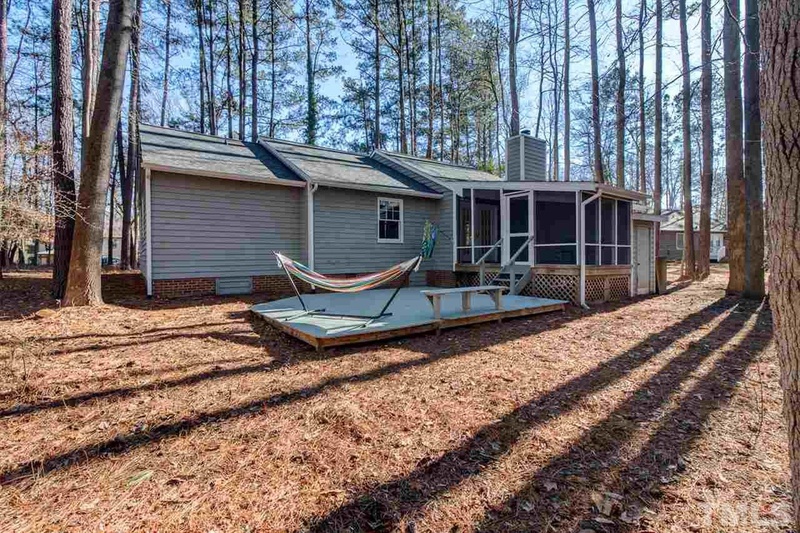 Straddles Cedar Fork Creek in the Lake Forest area of Chapel Hill. 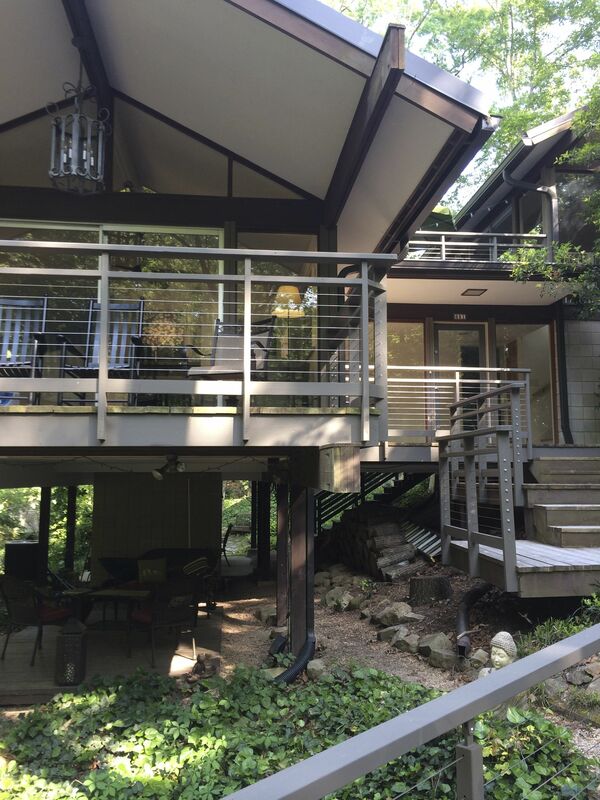 Stewart designed this dramatic house (top picture) on 1.5 acres his partner at CPAA. The bottom drawing is by Stewart's colleague Jon Condoret. Sold in 1984 to William C. (Bill) and Mary S. (Bitty) Holton. 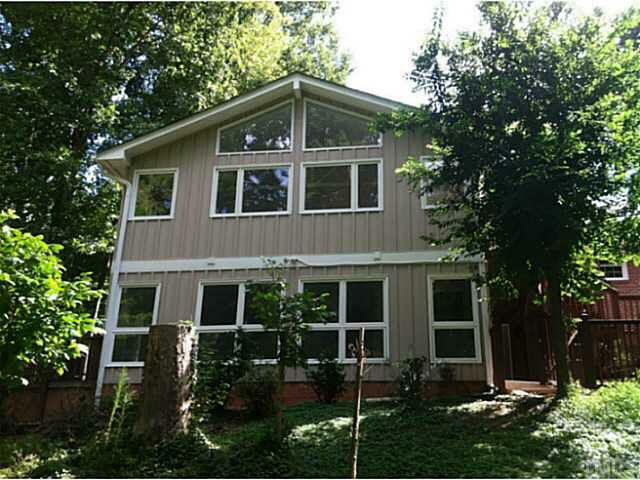 Sold in 2011 to Cutler W. Andrews and Cristin K. Kenney. 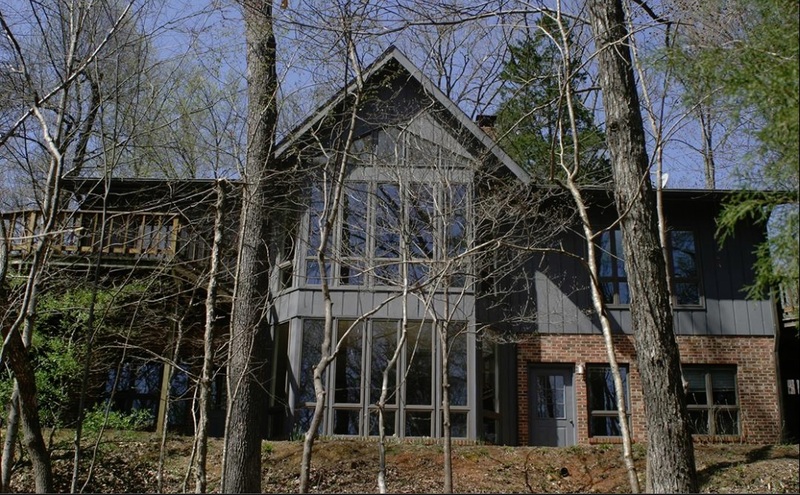 Sold in 2013 to Carolyn Flanders and Robert Conrad Martens. 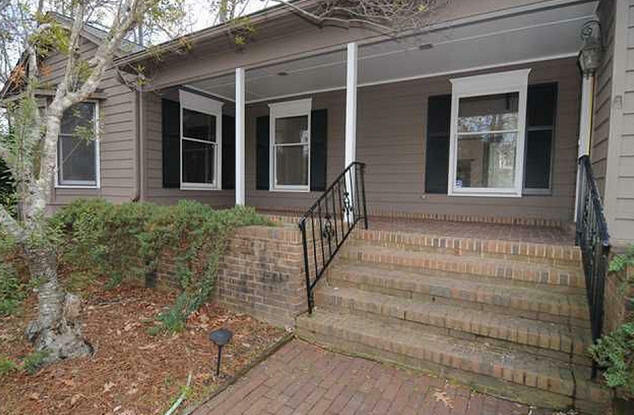 Sold in 2014 to Doretha A. Taylor and Scott T. Howell. 1969 - The Gordon Ward and Betty S. Ballou House, 3111 Evans Street, Morehead City NC. The house had an indoor pool, one of the first in the county. 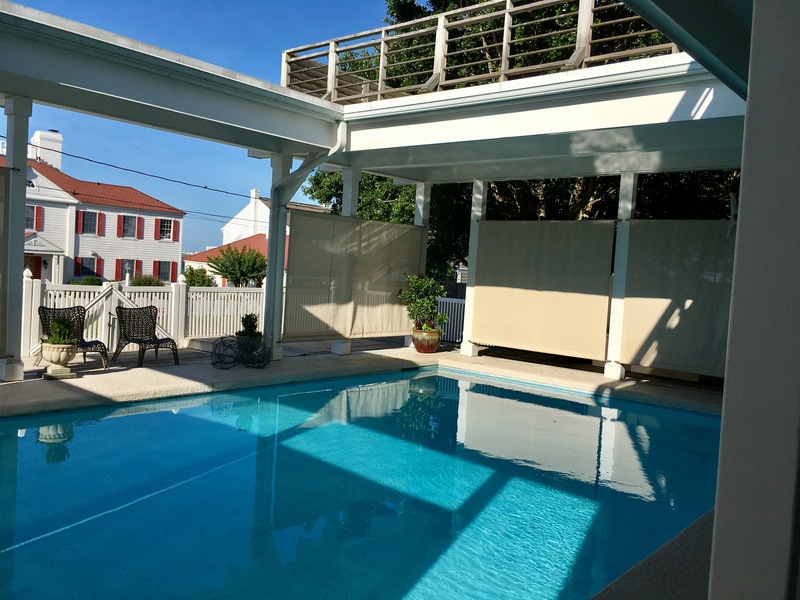 In 1990, Stewart designed a renovation which put the pool outside and reclaimed the space for the interior. 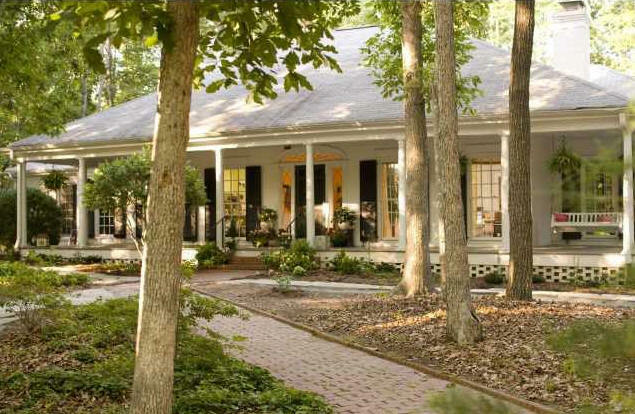 Sold in 1996 to Charles H. Sledge, III. Sold in 2008 to Dustin G., Daniel Eugene, and Mary L. Tyson. 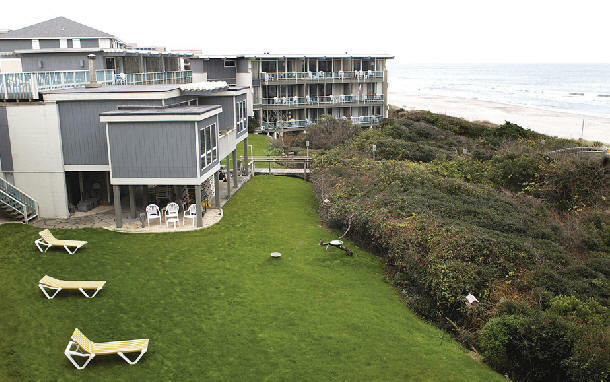 Sold in 2011 to Patricia H. and Israel Gorelick. 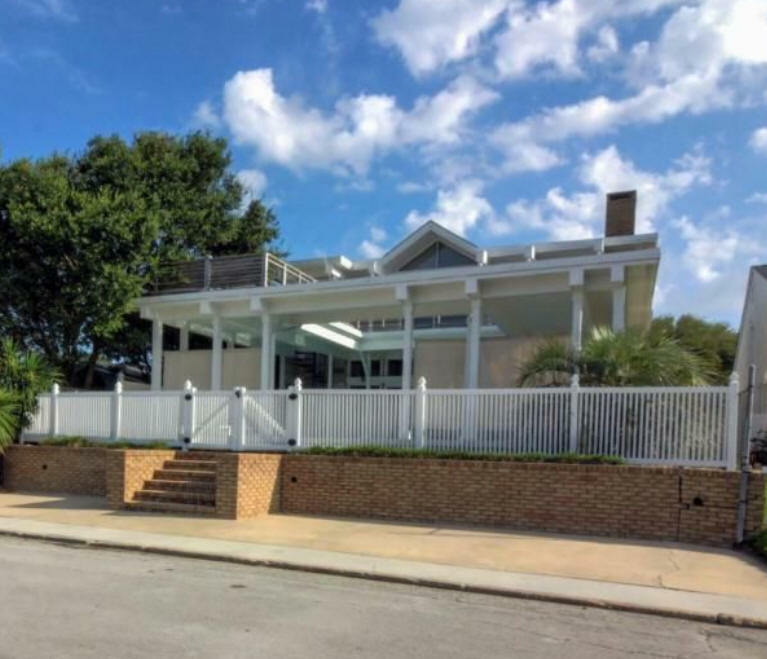 Sold in 2012 to 3111 Evans Street, LLC. 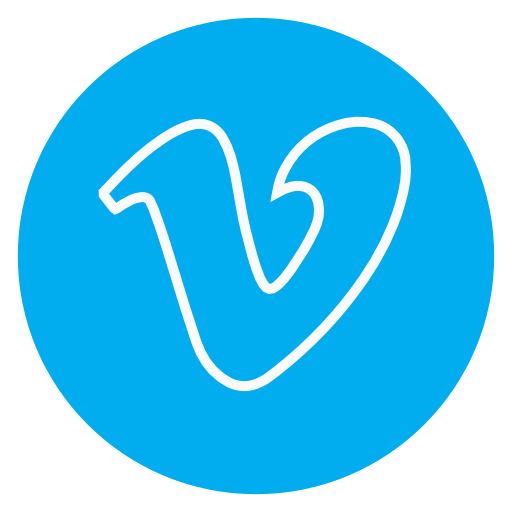 Sold in 2018 to Lee W. and William K. (Billy) Taylor, IV. 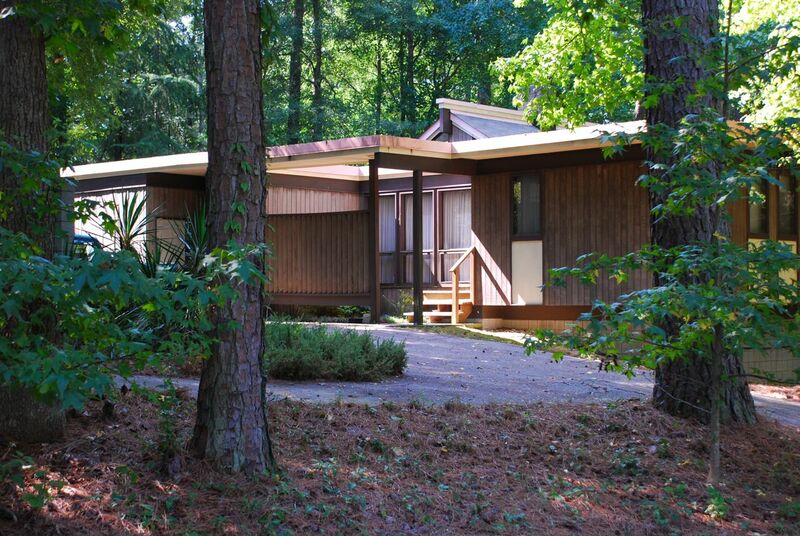 1971 - The William Arthur and Ann Bonner Nebel House, 1030 Torrey Pines Place, Chapel Hill NC. 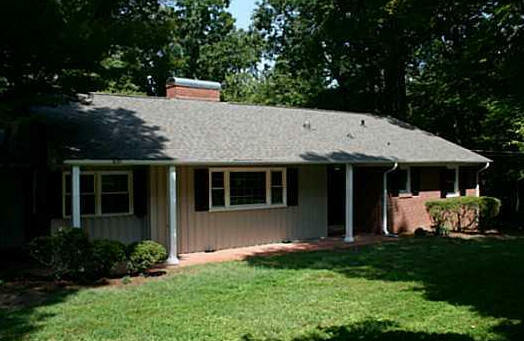 Sold in 2008 to Stephanie G. and Marilyn M. Norfolk. Sold in 2017 to Christopher R. Polange and Emily A. Hannon. 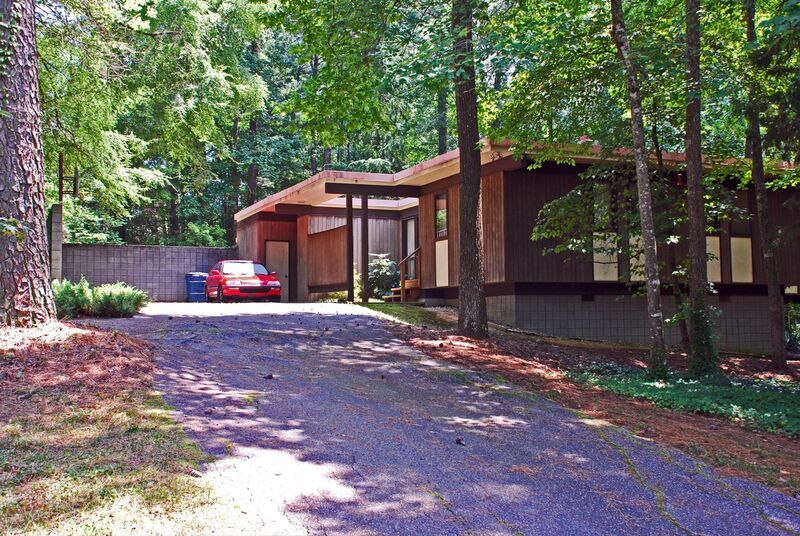 1971 - The Herman and Eunice Hertzmark Grossman House, 405 Lakeshore Lane, Chapel Hill NC. 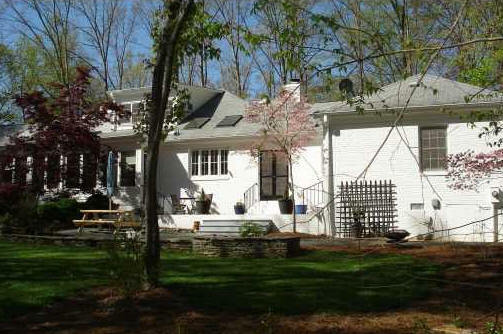 Sold in 2004 to Matthew and Julie Broad. Sold in 2005 to Tatjana Vujic and Timothy Profeta. 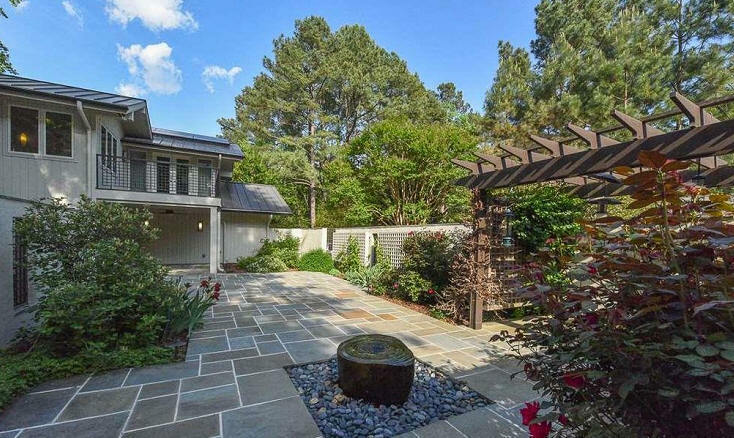 Sold in 2009 to Harriett Purves and W. Woodrow Burns, III. 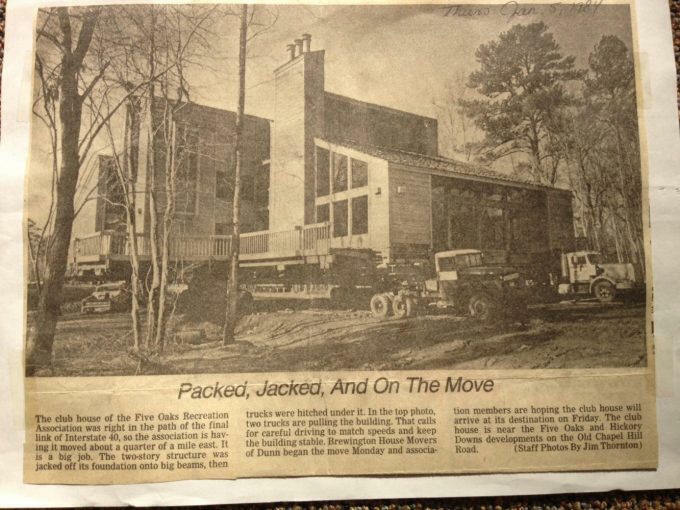 1972 - The Henry A. and Betty H. Landsberger Remodeling, 807 Kings Mill Road, Chapel Hill. 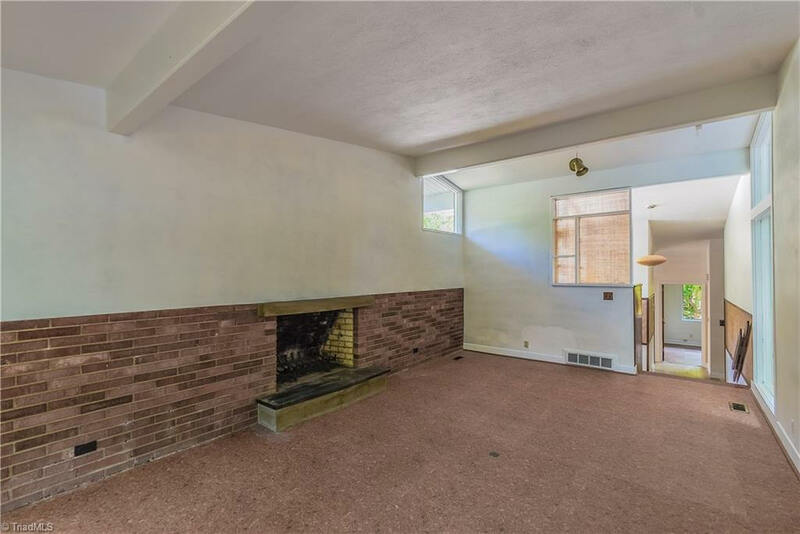 Original house was built in 1950. 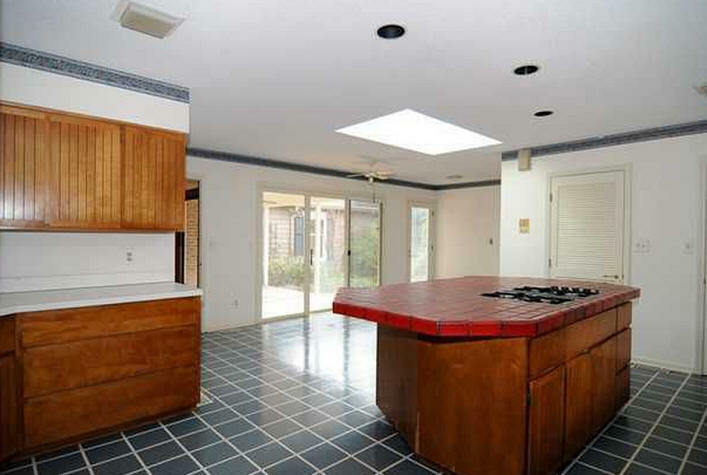 Sold in 2001 to George William and Susan Jeannine Houston. 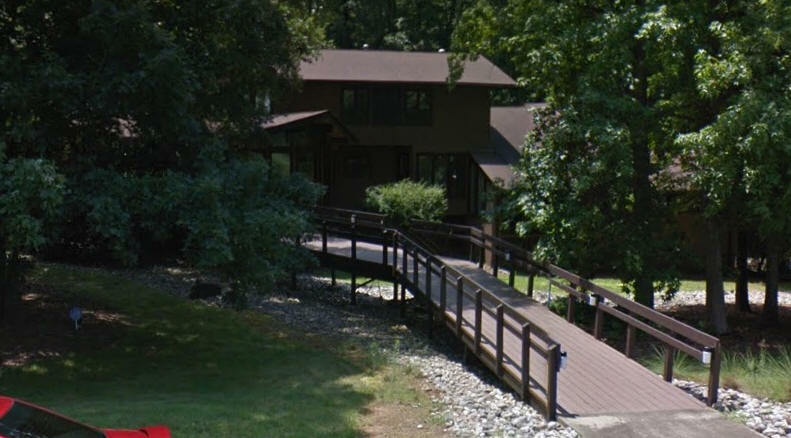 Sold in 2012 to Act 2 Realty, LLC. Sold later in 2012 to Dimitar Antonov Dimitrov. 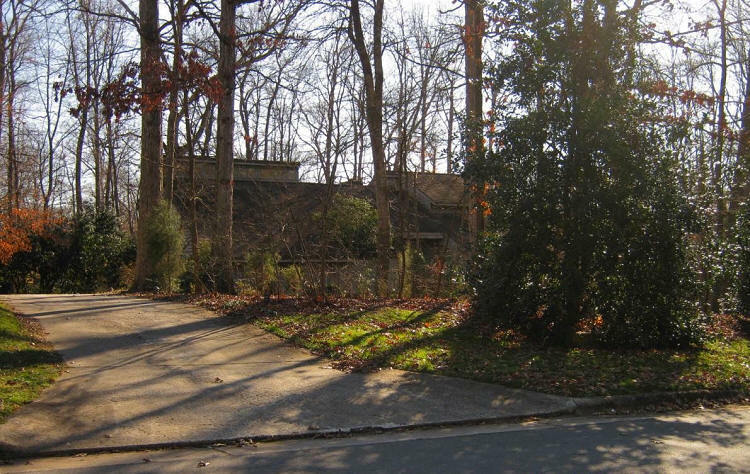 1972 - The Mehrdad M. and Mahin P. Sahba House, 3415 Stoneybrook Drive, Durham NC. 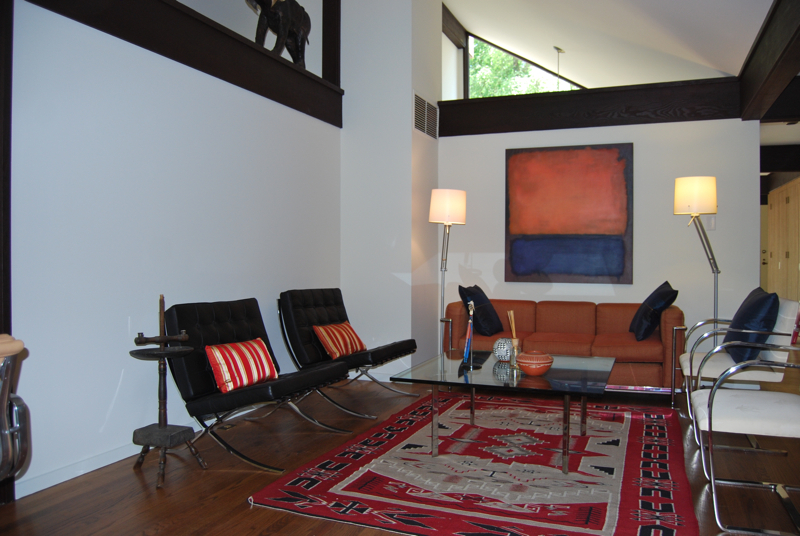 Sold in 2000 to Dorothy Lingle Kamin. 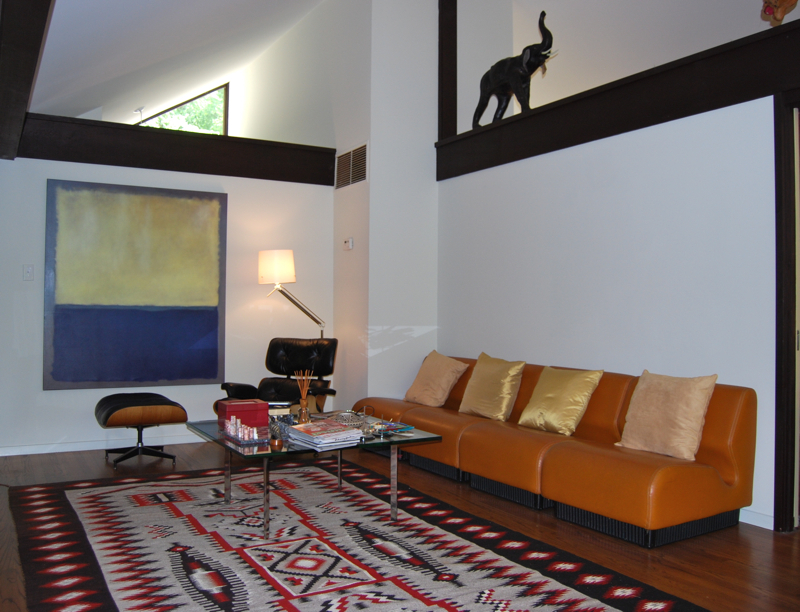 Sold in 2001 to George D. and Sarah D. Gopen. 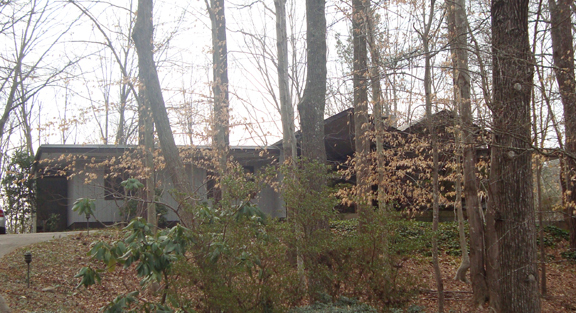 1972 - The Leonard J. and Rita G. Guyes House, 3200 Saint Regis Road, Greensboro NC. 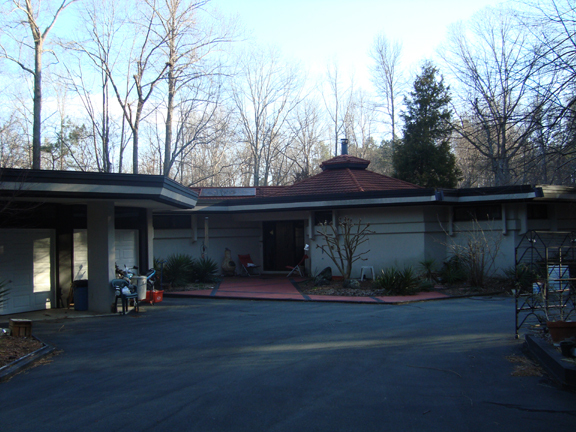 1972 - The Arthur B. and Jane P. Ferguson Addition, 216 Lebanon Circle, Durham NC. 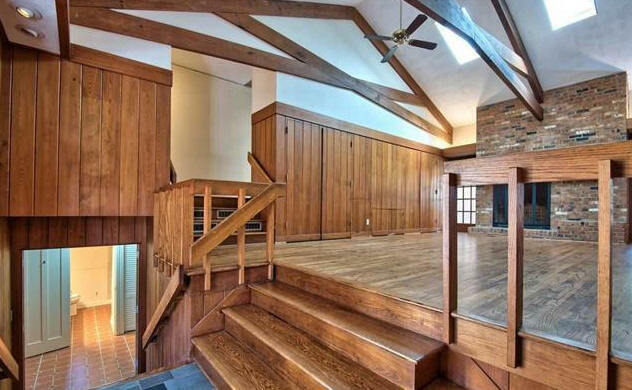 Original house built in 1953. Sold in 1992 to Sherman N. Alfors and Donald R. Lancaster. Sold in 2000 to Daniel W. and Jane K. Hamilton. Sold in 2018 to Sarah Packer. 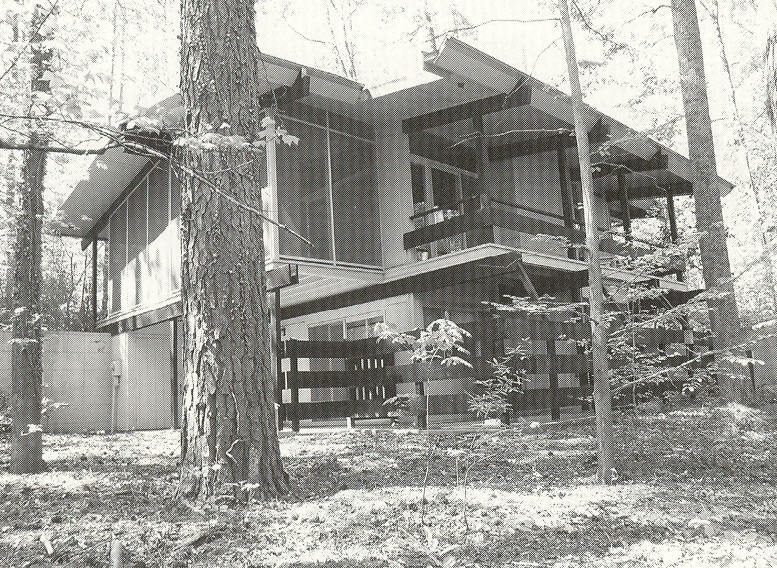 1973 - The Roy V. and Helena S. Talmage Remodeling, 347 Wesley Drive, Chapel Hill. 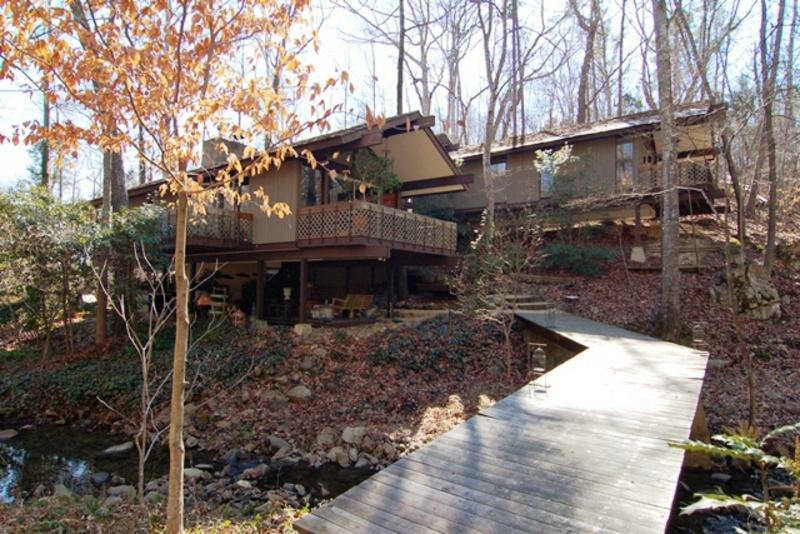 Sold in 1978 to Walter N. Vickery. Sold in 1992 to Christopher Rowe, still owner as of 2014. 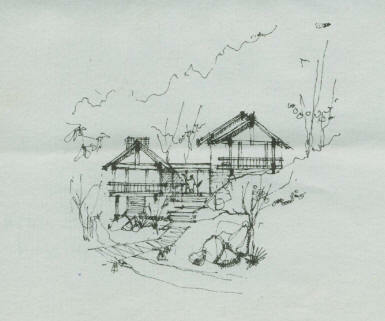 1973 - The Robert and Bryna Gilgor House, unbuilt. 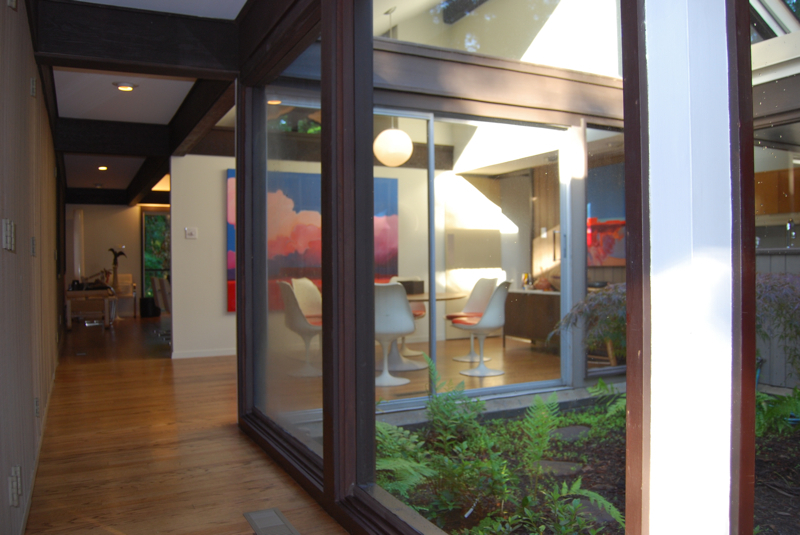 Jon Condoret ultimately designed their house, completed in 1976. 1975 - The Thomas Higgins House, 708 Wellington, Chapel Hill. 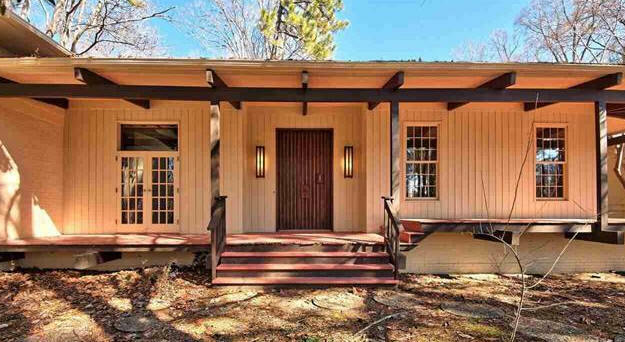 Stewart modified plans from Southern Living titled "A Home built for a Hillside." Security Building Company (J. P. Goforth) was the builder. 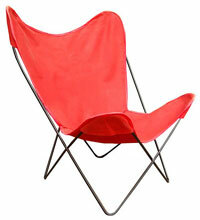 Sold in 2004 to Deborah J. and Ian Jepson. 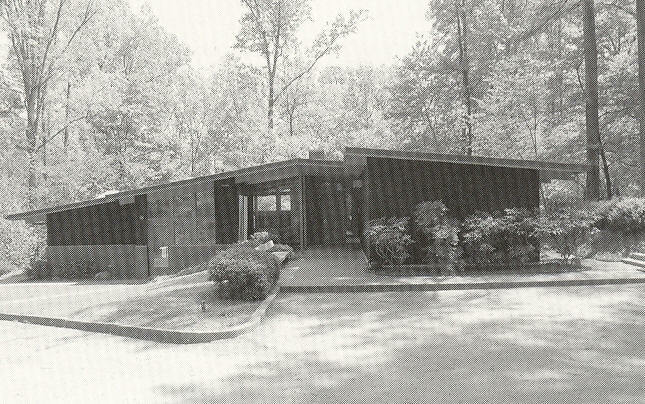 1976 - The Five Oaks Clubhouse, 4403 Farrington Road, Durham NC. Built for the Five Oaks Recreational Association. 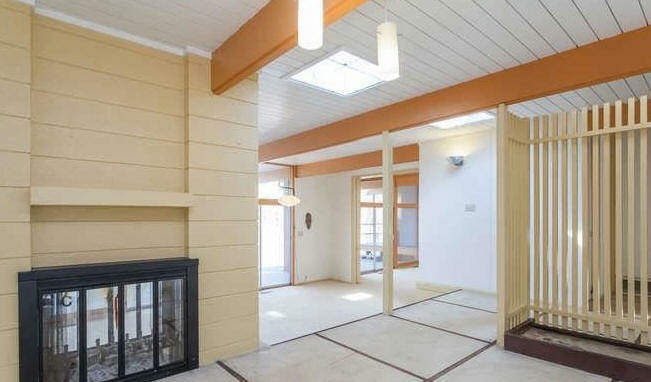 While technically not a house, it is much loved by the community. It was moved in 1984 when I-40 ran through the old site. 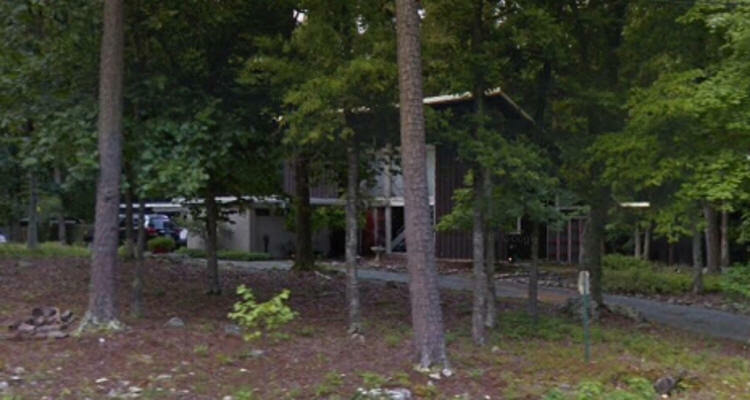 1979 - The Robert P. and Carole E. Foley House, 1055 Burning Tree Drive, Chapel Hill NC. Built by W&S Construction. The Foleys imported huge doors from Mexico. 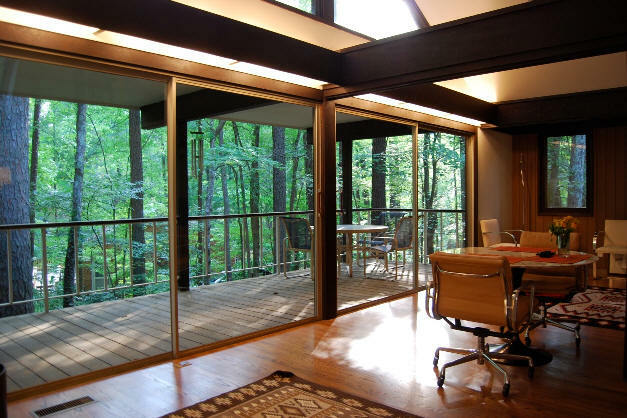 According to the obituary, Carole Foley was the first woman admitted to the University of Michigan’s School of Architecture and Design and she influenced the design of the Burning Tree Drive home. Sold in 2011 to Robert B. and Mary S. Irwin. 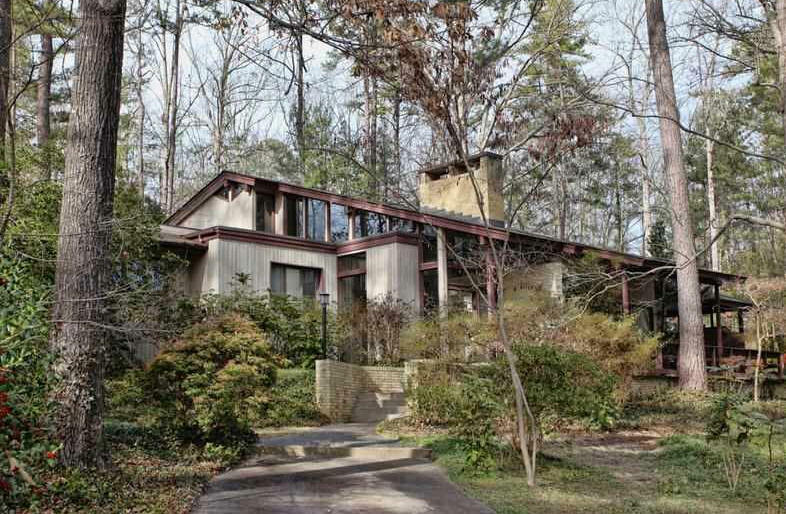 1981 - The Calvin A. and Nora Mellott House, 110 Wolfs Trail, Chapel Hill NC. 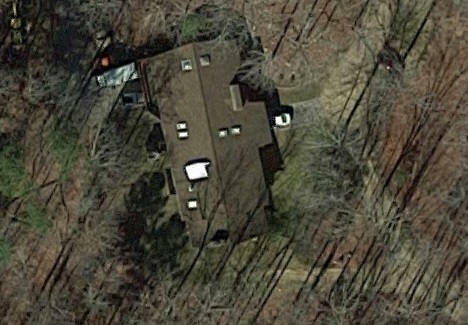 1984 - The Billy J. Baucom House, 616 Bayberry Drive, Chapel Hill. Commissioned 1982. Sold in 2018 to Kelly F. Moser. 1986 - The Donald Stewart House, 7111 Pine Hill, Durham. Sold in 2003 to Xiaobai Sun. 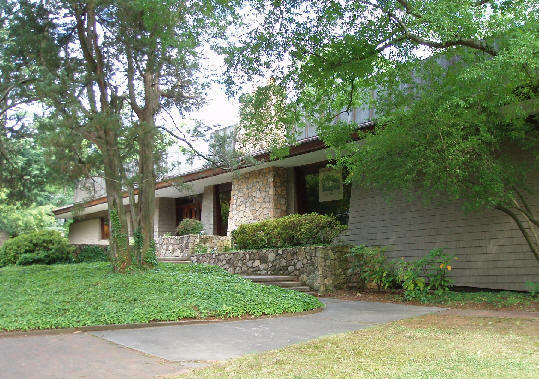 1986 - The C. Ritchie Bell and Anne H. Lindsey House, 5000 Walnut Cove Road, Chapel Hill NC. 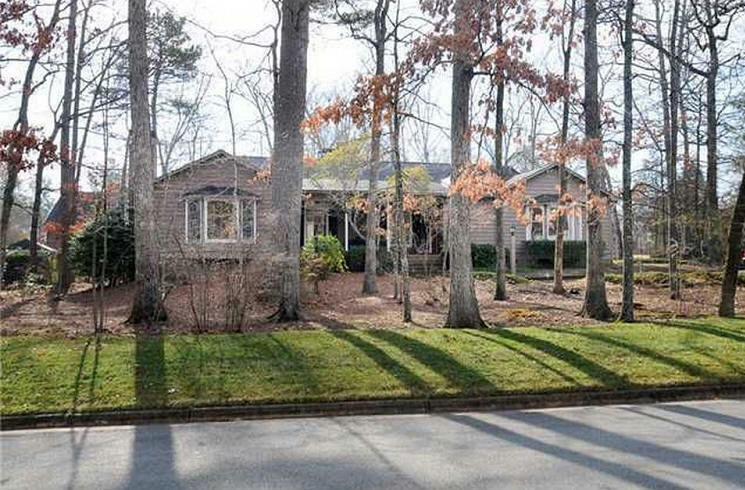 Deeded in 2015 to David Bell. 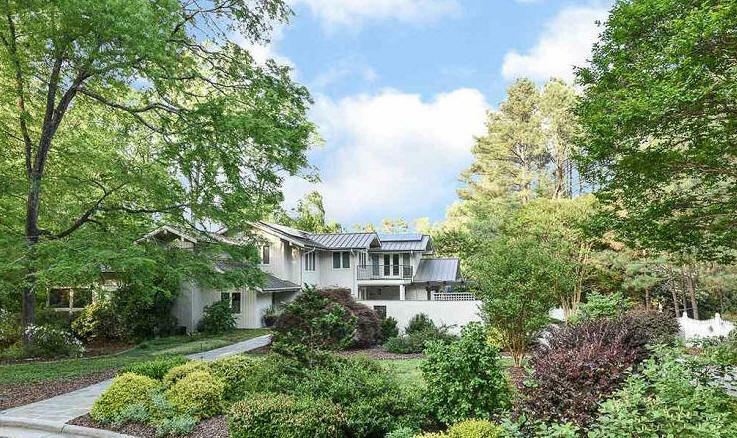 1987 - The Thorn and Mary Kuhl Addition,603 Bolin Creek Drive, Carrboro NC. 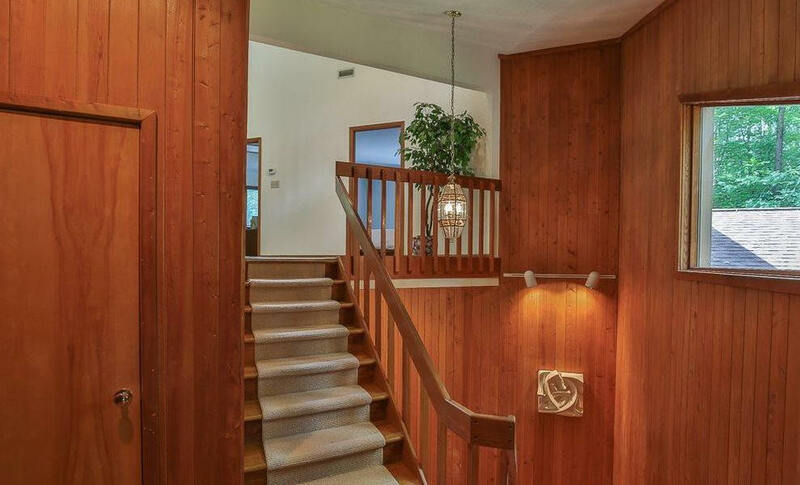 Original house built in 1983. Sold in 2004 to Lois Redette Filley. Sold in 2018 to Ann O'Hale. Other houses: please help us locate them! 1978 ELLIS, DR. & MRS. DON. Sources include: Town and Gown Architecture of Chapel Hill, North Carolina 1795-1975 by M. Ruth Little, Sally Greene, Don and Brenda Stewart, CPAA, Bitty Holton.